Iran says it has drawn serious plans to boost exports of hand-woven carpets to the United States, adding that it is already sending about a third of its total global sales to US market. 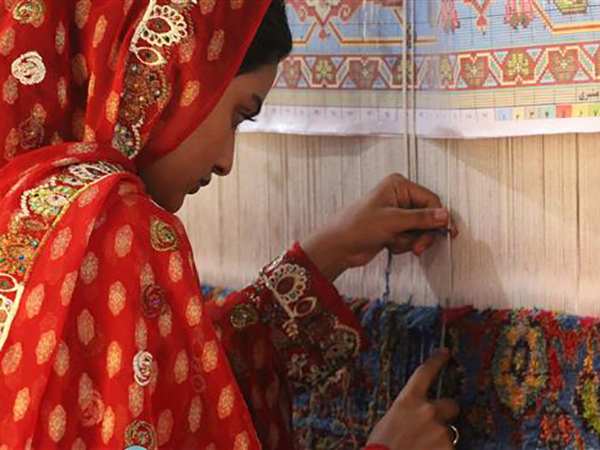 Gholam-Reza Soleymani, the deputy industries minister for small businesses and industrial townships, said Iran exported about $150 million worth of hand-woven carpets from March to October. Soleymani added that around $50 million of the exports had been made to the US. The official said Iran would soon launch a plan in which three key export zones – the US, Lebanon and China – have been identified, stressing that this would facilitate a better coordination in export activities for each zone. He also said that Iran plans to hold nine specialized carpet exhibitions across the world to promote its hand-woven carpets, IRNA reported. Earlier this week, Hamid Karegar, the head of Iran’s National Carpet Center, said Iran would start direct shipments of its hand-woven carpets to the United States from early 2017. The shipments that used to be carried out from Germany would be made from Iran’s southern ports, Karegar added. The official added that Iran’s exports of carpets had increased 18 percent in value and 11 percent in weight from March to September compared to the same period last year. Karegar emphasized that Iran had sent a cargo of carpets to the US worth $37 million after the removal of the sanctions against Iran in January. He added that Iran used to export as much as $80 million of carpets to the US, but the sanctions, had brought them to zero in 2010.